Get ready for a great evening of jazz, canapés and Champagne. Please join us to ring in the New Year by going back in time to a Roaring Twenties’ Speakeasy. 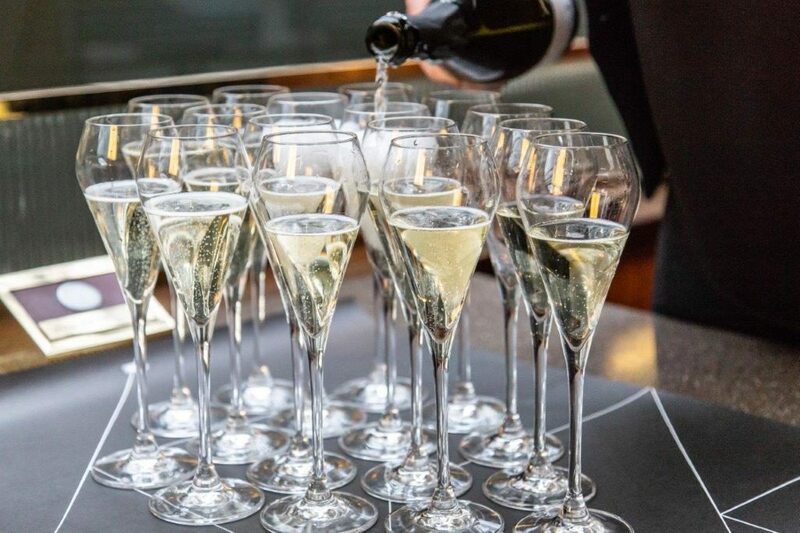 Your evening begins with a champagne reception paired with four delicious canapés. Our very own Searcys Selected Cuvée Champagne will be served on the night. You will then continue your evening with an indulgent three-course meal, crafted especially for the occasion by our head chef Colin Layfield, followed by tea, coffee and chocolates. Enjoy live music and DJ throughout the evening and until 2am! Please note reservations can be made every half an hour between 6pm and 9pm on New Year’s Eve. Once you have purchased your ticket, please email gabriella.daroczi@searcys.co.uk to book your table. Receive regular updates and offers throughout the year!